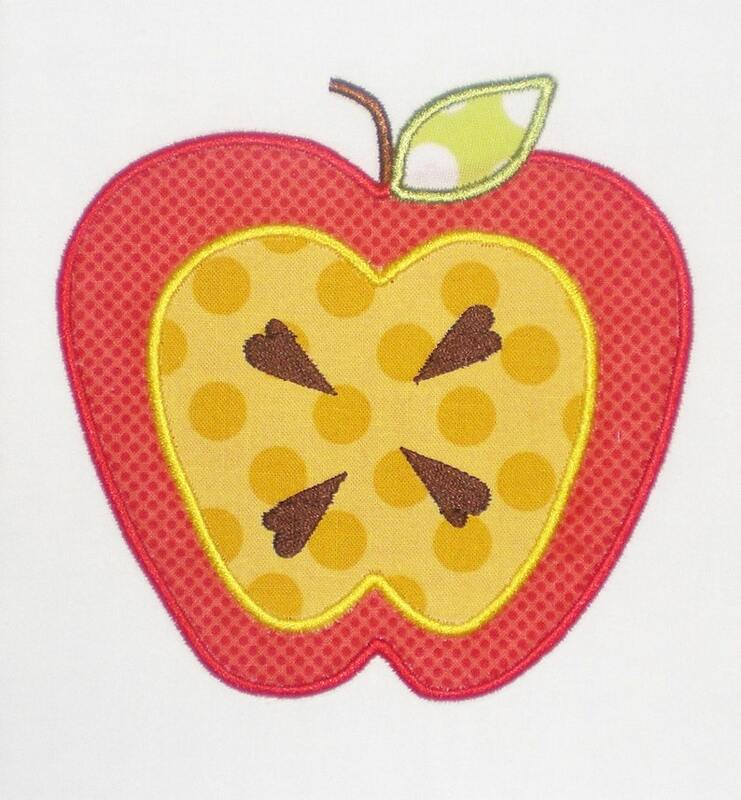 This listing is for a Double Apple Embroidery Design Machine Applique. With your purchase you will receive the applique in 3 sizes: 4X4, 5X7, and 6X10 hoops with and without seeds. Could use improvement. I used the 6x10 and felt the satin stitch was too thin to give good coverage over the fabric edge. I also found that in all sizes except the 4x4, the square for the silver part of the pencil is off. It is not only not centered within the satin stitch, it is actually smaller on the short ends - so short that the satin stitch will not cover the edge of the fabric. Thankfully, I have SWP so I was able to increase the width of the satin stitch and I adjusted the rectangle for the silver area of the pencil in my regular software. I also increased the density of the black "lead" so it covered the underlying fabric more solidly. Once all my changes were made, the file worked fine for my needs.